You can start a career to be an EMT or a Paramedic in New York by finding a reputable program. EMTs are generally paid a bit less than Paramedics because they have less training and fewer responsibilities. But both jobs are still vital in the emergency services field. How well do you respond to difficult situations? Can you work well under stress? Are you ready to work in risky situations where you could potentially become injured? Is it your goal to make a difference in the lives of people of all ages? Do you mind working long hours and responding to many calls throughout a shift? Is your overall health and fitness excellent? In most cases, you cannot become an EMT unless you are at least 18 years of age and you have your high school diploma or your G.E.D. You will also need a valid driver’s license and a clean criminal background check. You should hold your CPR certification before enrolling in an EMT program and you should also be up to date on all your vaccines. EMTs need to be able to communicate well with others and to have good reading and written skills. You will need to be able to lift 200 pounds with assistance of another person and at least 100 pounds on your own. You must be able to demonstrate that you are in good health and good shape. Coursework can vary to some degree depending on the type and length of program you are attending. But, of course, there are certain topics and modules that all EMTS must study. An emergency responder will be trained to care for people with not only head and neck injuries but also spinal injuries. They are trained to help people who have burns, lacerations, sprains and even broken bones. An EMT program in New York will teach students what to do when caring for patients who have diabetes or caring for patients who have gone into shock. Students will learn effective ways to manage blood loss in the field and when transporting patients. All EMTs and Paramedics will know how to perform CPR. Paramedic programs might also train students to carry out more advanced airway management or more advanced cardiac care. Paramedics can also be trained to administer some medicines and even to start IVs. Other duties depend on the scope of practice in your area and the skills covered by your program. EMT training courses will teach students how to protect the privacy of their patients. They will learn good ethical practices and the legalities of working with patients in the emergency setting. There are quite a few EMT and Paramedic Programs in New York. Some courses for EMTs will last only a few months. Others (particularly for Paramedics), can last a year or even two years. Some programs are offered at community colleges, Allied health schools and even 4 year colleges. Here are a few examples. St John’s University offers an EMT Basic Training Course. The EMT-B program is a 192 hour program. Students will need to complete classroom and lab instruction. They will also gain field experience through the Ambulance internship. All students will gain hands on experience doing ride alongs on one of the BLS ambulances in the area. This program is offered three times throughout the year. Students will be eligible to sit for the necessary licensing exam upon successful completion of the program. This does include the necessary books. EMT-Basic Program: This program is designed for individuals just starting out in the EMS field. Paramedic Course: This program is for EMTs who wish to take on more responsibilities and learn more advanced prehospital procedures. The EMT basic program is for individuals who are not yet EMTs. This program is intensive with students needing to complete over 250 hours of rotation during their study. Classroom instruction, lab work and field experience comprise the program. If a student successfully passes this program, they can apply for the Paramedic Course. The Paramedic Program: The Paramedic Course is 12 months in length. An individual must have successfully completed the basic course to be considered for admission. They must have a good academic history and show a true desire for a career as a Paramedic. Students will build upon the skills already learned as an EMT and will study more advanced life support procedures and learn to administer medicine and carry out some other critical pre-hospital duties. School Type: This is an allied health school offering career training programs and certificates. It is located in Brooklyn New York. EMT Course: This is the entry level course to help people start their career as an emergency medical technician. EMT-Paramedic course is for students who wish to carry out more advanced life support and life saving techniques. The school also offers more advanced EMT and Paramedic Skills courses. People are able to learn specialty care and evne how to provide care specific to certain age groups or populations in the community. EMT Basic Course: This is the entry level EMT course. It includes instruction and hands on/practical experience needed to begin a career as an EMT. This EMT-Basic course must be taken before an individual can apply for the Paramedic Course. Students will learn about the procedures they can carry out as well as learning about patient communication, ethics and privacy. AAS Paramedic Course: This course is for an Associate’s Degree and will take around 2 years to finish. There is a pre clinical and clinical phase to this program where students receive all the background and then hands on field experience needed for a career as a Paramedic. 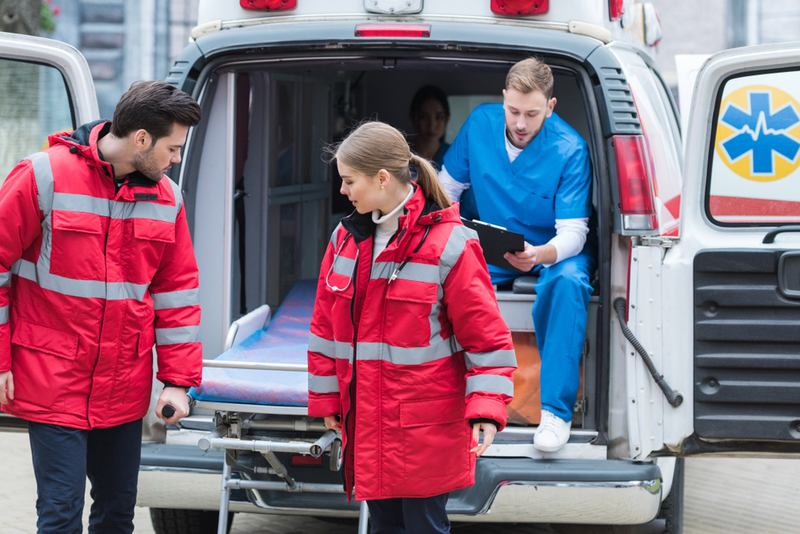 If an individual is already certified as a Paramedic and has worked actively in the field, he or she may be granted some credits toward their Associate’s Degree. Tuition: Tuition for the EMT basic course is $1095. School Type: This is a community college. They offer both career training and degree based (primarily two year programs). Can I become a Paramedic without EMT-Basic training? Generally not. You will usually need to complete an EMT-Basic program before you can even enroll in a paramedic Program. Does it always take 2 years to become a Paramedic? No not always. This is usually if you are enrolled in a degree based Paramedic Program. Some programs might only be about one year in length. 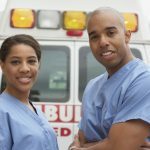 Can I Become an EMT Online? No you cannot. There is lab, hands on and field training you will need. Although it might be possible to complete some of your coursework online. Can I become an EMT before I am 18? No, you are usually required to be 18 to even take one of these courses. Even if you have graduated high school, they generally will have you wait until your 18th birthday. Are there good job opportunities for EMTS in NY? Yes there are. The EMS field is growing at a pretty rapid rate. There will always be a need for well trained individuals in emergency situations. There are jobs in both the public and private sectors within the state of New York.